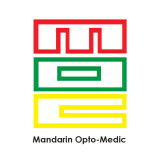 Maindrain Opto-Medic is one of the leading suppliers of hospital and medical equipment in Singapore & Malaysia. We offer wide range of optometric & ophthalmic instruments and laboratory equipment in Singapore. Contact us today!